I thought the dancing drops were entertaining. So, I busted out the fine crystal and a camera. My first steps almost every morning for the past several years have greeted me with the soreness that usually comes from plantar fasciitis. My Lyme literate doctor (LLMD) has felt that this pain along with occasional burning and tingling is likely a symptom of Bartonella (a common co-infection of Lyme). Two weeks ago, I began to have symptoms all day that became worse at night. The LLMD wanted to know if any of my symptoms changed, so I called and left a message. Through his nurse, he told me it was the Bartonella and suggested I add either another antibiotic or a herbal mixture called A-Bart. The antibiotics I am already on are supposed to battle both Bart and Lyme, so I opted for the herbal boost. Before I received the new medicine, I noticed that wearing compression stockings helped. I ordered a pair of Tommie Copper socks that I could wear more comfortably and for longer periods of time. 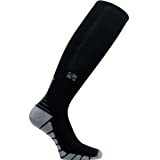 The compression seems to be the trick for reducing the tingling, burning and aching. Who knew? Well, I am sure someone did, but not me. One of the first modern era spirit crushing capitalistic moves was the assembly line. Instead of a skilled craftsman gaining pride and satisfaction in building a product from start to finish, he spent all day, every day building the same little widget over and over. He was paid more. He could provide more for his family. However, accomplishment became more defined by quotas and money than by pride and ownership of a quality, finished product. Many politicians enter the field of public service with a strong desire to help constituents and humanity. They believe that they have an important view point and can get things done “the right way”. They see corruption and want to right wrongs. I imagine it is extremely difficult to navigate halls lined with lobbyists funded by businesses trying to improve their market positions. It costs so much to run for office, that some may start compromising their beliefs to collect. They need to hit fundraising goals or not only will they be limited in advertising, but others will see them as weak. Who wants to put their name behind the weak guy? One little compromise leads to another and as their spirit is crushed, they become players in a game that they never wanted to play. Healthcare seems to be defined more and more by quotas and pay checks. Sales people are paid to sell. Every year their quota goes up. At what point do medical equipment, pharmaceuticals, and services reach saturation? The pressure and incentives can lead to inappropriate up selling or over selling. A lovely lady I met needed an electric chair to be mobile outside of the house. The equipment company pressured the doctor to recommend a super high tech and expensive version that was originally designed for patients with severe spinal cord injuries that had to spend most of the day in the chair and had limited sensation to pressure points. Not only would this chair cost thousands of dollars more, but it could have actually discouraged the lady from using the mobility and strength she did have. Making her worse!